1. Minimize spam. 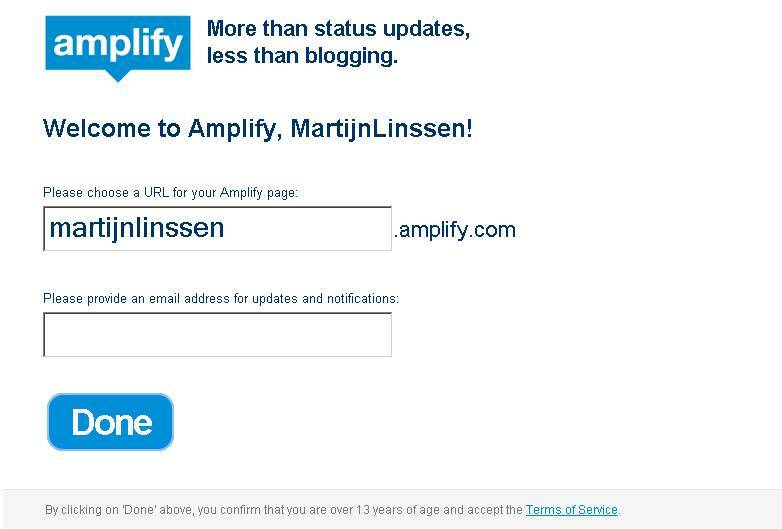 When we first went live with Amplify, we did allow logged out commenting. As you can imagine, the instances of spam (loosely defined) was pretty high. This got reduced greatly when we changed to only allow comments by logged in users. 2. The user experience on Amplify is highly dependent upon building a network of people you choose to interact with. Activity by logged out users would fall outside that experience, so I personally find it a bit inconsistent. Given that all you need to do to comment is login with either your Twitter or Facebook account, I don’t see that being a lot to ask for. 3. Assuming that you clicked through from Twitter or Facebook, if you don’t want to login to Amplify, you can always post your comment on those respective services, so i don’t feel that our decision is preventing people from being able to respond to each other. To call it spam is just silly. If you don't want to comment, don't comment. That said, I hear your points and will reconsider the pros and cons of allowing logged out commenting. Hmm, I agree with Martijn. Asking for authentication, and then, in stead of redirecting back to the place where one wants to leave a comment, ask them to set a page and register for a service... it comes very close to spam. Glad to hear you are reconsidering. 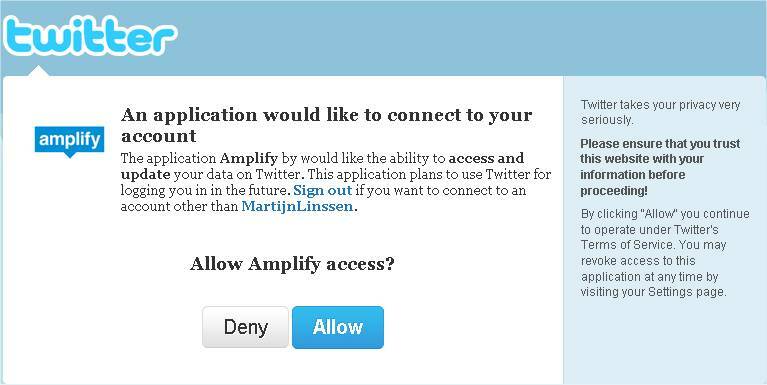 However, what is the benefit of Amplify over, say, Disqus? 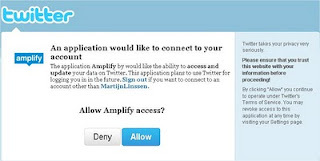 @arjantupan Amplify is not a commenting service. 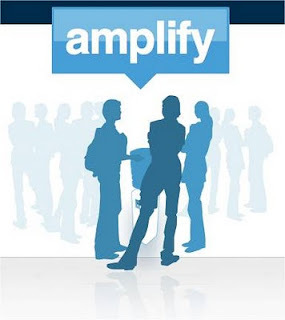 Amplify is a social network where people can share and discuss news and ideas similar to how they would on Twitter but without the restrictions of the 140 character limit. 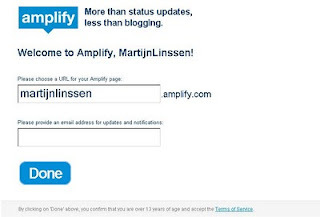 Users can also syndicate their posts from Amplify to other sites, including Twitter, Facebook, etc. My perspective is that if people from Twitter want to comment, they can comment on Twitter. If people on Facebook want to comment, they can comment on Facebook. But if people on Amplify want to discuss things with each other, they need to be logged in. I'm really not sure that anonymous/logged out commenting works within the larger framework of Amplify. I assure you, we're not looking to trick anyone. Maybe we can/should make our messaging clearer up front. I'll give another look at that as well. Thank you Eric and Arjan. I really enjoy your enthusiasm in this whole debate. And, you have started a great debate within Amplify as well as have Eric looking at ways of possibly improving Amplify for the above mentioned purpose. Your energy will certainly be well appreciated within a community such as Amplify and I for one would like to see you there. Also, I see later in your tweets you make mention of Don Miguel Ruiz's, The Four Agreements. I certainly believe in these principles and if you don't mind would like to Amplify your article. My posts all syndicate back to Twitter as well. Martijn, per your suggestion, we have changed the copy to say "Register to comment"
Daniel, thank you so much for your comment and apparent enthusiasm! Thank you very much Eric, that's just excellent. Makes you a true 21st century CEO in my eyes! well, when I first joined amplify I had my tweets being posted on FB via twitter and FriendFeed and that was too much... but hadn't taken the time to change it! Then with Amplify? I spammed my own FB profile! and those of others no doubt! There is a way to use Amplify. I post directly to FB with many articles, News stories, human interest because the picture displayed in the comment. then I amplify it without sending it to FB unless I want to show it on one of my pages. Semantic Web - a tech fix for a human problem?